When a loved one passes away, life insurance can provide a lifeline for your family. Often available through an employer, the proceeds from these policies can help offset funeral costs and medical expenses while ensuring you are provided for in the future. Unfortunately, obtaining these benefits can be a complex and confusing process and too often claims are delayed or denied. At Kantor & Kantor, LLP, our experienced Redwood City life insurance claims lawyers are here to help during this difficult time. We provide the trusted guidance and professional legal representation you need to get the life insurance benefits to which you and your family are entitled. In the aftermath of a loved one’s death, the last thing you or your family need is to be involved with disputes concerning their life insurance benefits. Unfortunately, companies that issue these policies operate the same as any other business, meaning that maintaining profits is their bottom line. One of the ways they protect these profits is by denying or disputing benefit claims. According to the California Department of Insurance, hundreds of complaints are filed each year by consumers against insurers throughout the state. Delayed payments due to administrative errors. Gathering the evidence needed to support your claim. 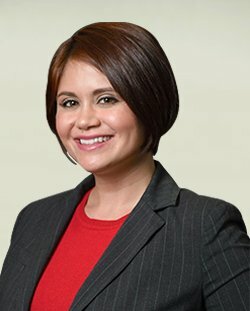 At Kantor & Kantor, LLP, we act as a strong legal ally on your side in life insurance claims disputes, helping you and your family get the life insurance benefits you need to recover when a loved one passes. To discuss the best course of action in your particular case, call or contact our Redwood City, California life insurance claims lawyer online today and request a free, one-on-one consultation.